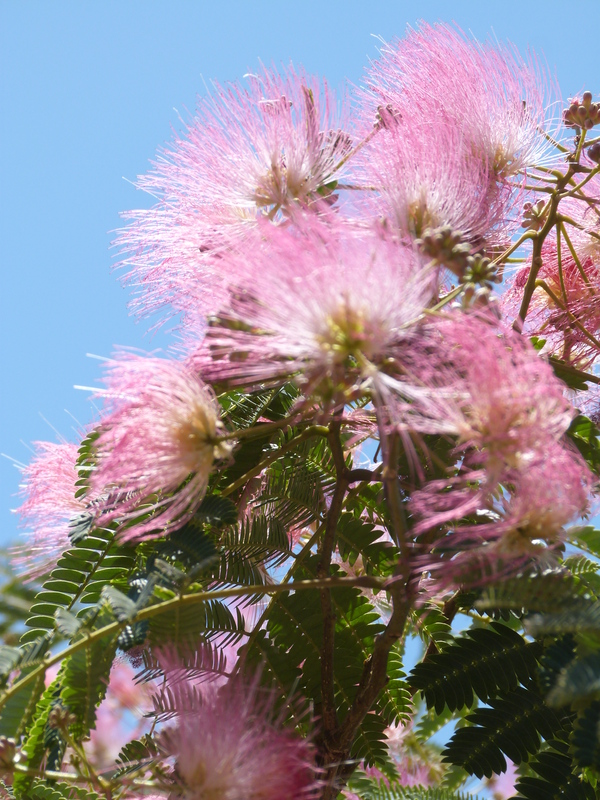 Also called silk tree, this native to Japan blooms puffs of pink flowers that resemble silken threads. Blooms are abundant in spring and summer. Plants quickly grow into a vase-like shape that spreads much like an umbrella at the upper canopy. Mimosa trees can be a beautiful accent or feature plant for sunny to dappled sun landscapes. You’ll find that plants bloom best in full sun locations. While Mimosas prefers rich, loose soil, they will tolerate a variety of soils as long as there is good drainage. The fern-like foliage is attractive even when plants are not in bloom. Mimosa trees are susceptible to mimosa web worm. Some maintenance cleaning will be required as plants will drop seeds. Keep weakened branches regularly trimmed to avoid damage from strong winds and storms. Take note that in some areas Mimosa is considered invasive.